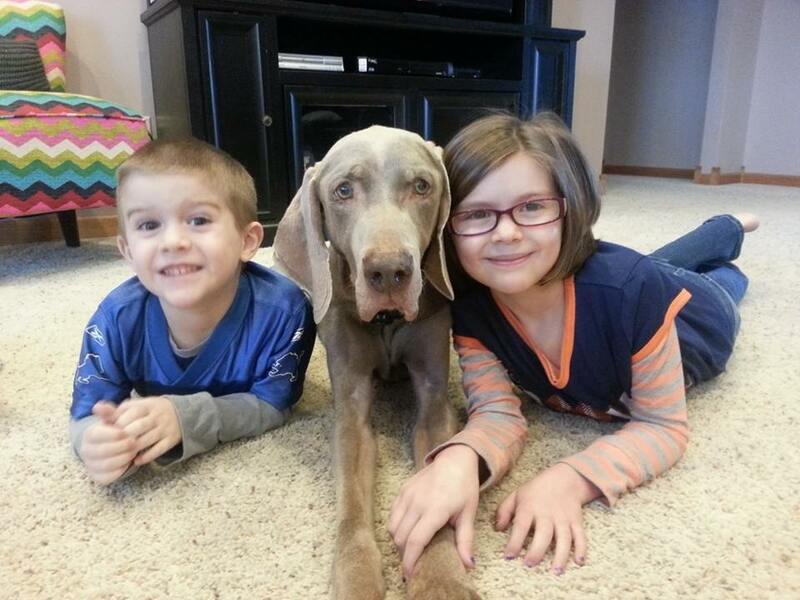 Jake – From the moment we adopted you, when you were 1 1/2 years old, you found your way into our hearts. Your endless enthusiasm and boundless joy were contagious. You befriended everyone you met. You adored all children and always made a bee line right for the smallest toddler….then with infinite gentleness, you would cuddle or play tug-of-war…never once knocking over the child…always causing squeals of delight and giggles. You were our Gentle Ben. We were told that you had been turned into the Humane Society because you were aggressive and un-trainable. 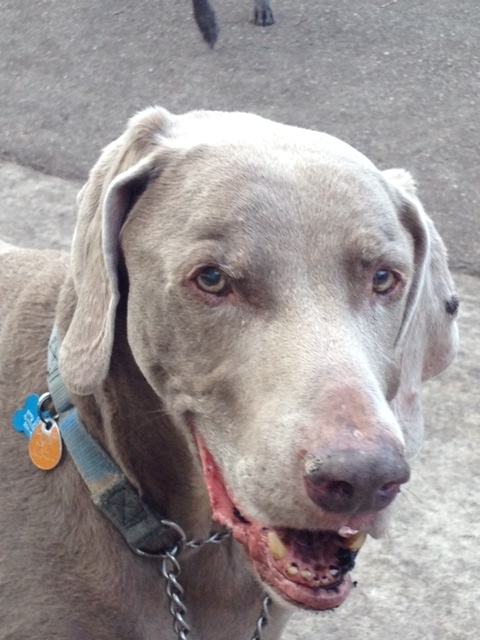 Yet, the most gentle, calm Weim, we have never met. You earned your Canine Good Citizenship certificate within the 1st year. You made friends with everyone, loved everyone and adored children. You were never happier than when you had everyone’s attention….all for yourself. 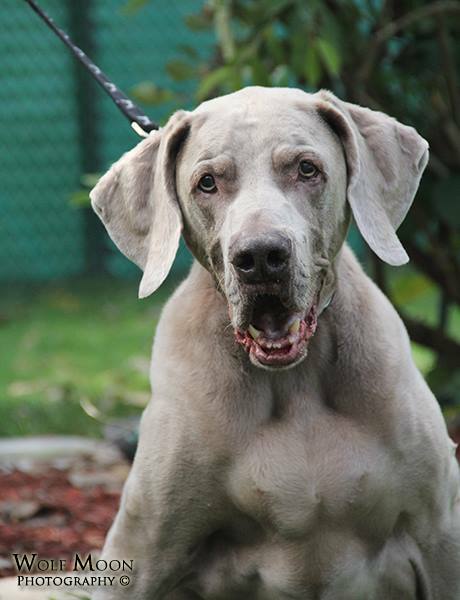 You were stubborn, mule-headed, pushy….pretty typical for Weim. You had a penchant for eating underwear and socks whole….and hated being crated….You broke us in and trained us well. 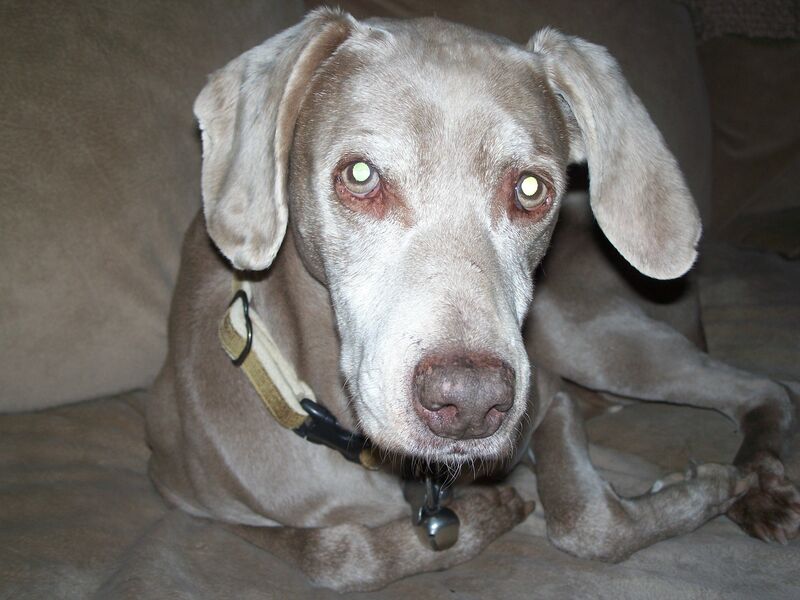 You were my running buddy for many years…..our dear friend and beloved companion. 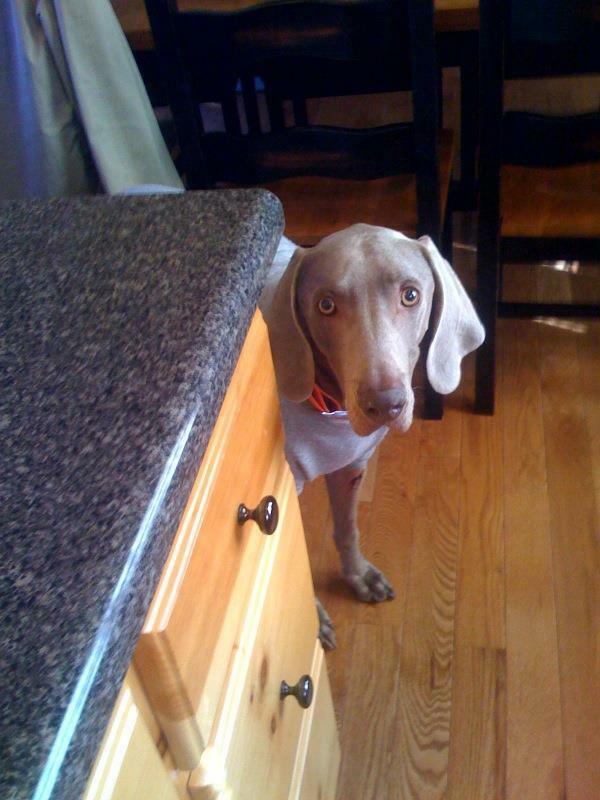 It will be hard for any Weim to walk in your shoes. You were very special. You will always be close to our hearts and in our memories. Love, Lynn & Dan.